Make no mistake -- Danes live in a wired world. In fact, at 96 percent, Denmark has one of the highest percentages of Internet users in the world. That’s why online outreaches like “Vidnesbyrd.dk” (“The Testimony”) are so critical. Headed by videographer Jonas Bock Nielsen, Vidnesbyrd dishes up a smørgasbord of outreach-oriented Christian videos. 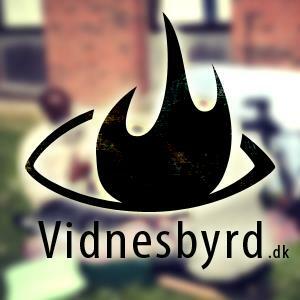 But as the name implies, Vidnesbyrd specializes in face-on testimonies from everyday Danes who have encountered a deeper walk with Jesus Christ. They deal honestly with everyday issues like doubt, singleness, abortion, or the role of men and women in Danish society -- all from a non-threatening, scriptural perspective. And they ask questions like, Does God exist? Who is Jesus? What do you believe? Vidnesbyrd also offer links to some of the country’s best contemporary Christian music, including (recently) a classic Christmas hymn set to new music. It most certainly is! This Christmas season, pray that these powerful online testimonies would reach more and more Danish seekers, all of them in need of answers… and a Savior. PRAY for the outreach ministry of Vidnesbyrd.dk, that it would be discovered and “stumbled upon” by thousands of Danes who need Jesus. PRAY for the financial needs of the online ministry, which depends on the generosity of individual givers. PRAY that God would use existing testimonies on Vidnesbyrd.dk, as well as new ones, to draw many to himself, and to spark revival in Denmark. PRAY for Jonas Bock Nielsen as he manages this ministry, for encouragement and creativity in his key role there. 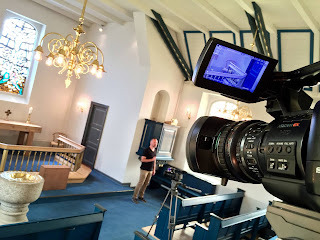 Røgeskov recently returned from the “Awakening Scandinavia” conference in Stockholm, part of a continent-wide movement to encourage revival and introduce Europeans to Christ. She spent time with Christians from three very different Danish churches -- independent (“Valgmenighed”) Lutheran, Adventist, and Vineyard. PRAY for believers from many Christ-honoring churches in Denmark to seek unity and to know that it’s all about Jesus. PRAY that Danish believers would not compete with or disparage other believers, but that they would come together in a new and fresh way. PRAY that God would send revival to this little land, and that all would see that it’s not from human efforts, but from the Spirit of the living God. PRAY for truth to pervade the coming revival, that Jesus would be made known in spirit and truth. 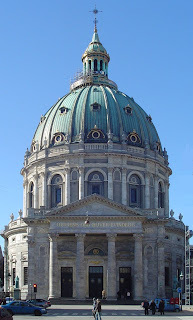 Pray for the growing young church at Amagerbro Frikirke (free church), who earlier this month dedicated their new (to them) building in central Copenhagen. It’s a strategic location in the capital city, and they’re naturally excited about the move. They’ve been working on the building since April, with volunteers from the congregation spending uncounted hours on restoring and renovating the facilities. Though there are still a few small details to fix, they’re putting the building to use and reaching out to people in their neighborhood, in a city that desperately needs Jesus. 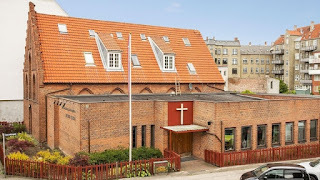 Amagerbro Frikirke offers a number of city-specific ministries, including a weekly drop-in study fellowship for students, as well as sleeping bag and winter clothing drives for the city’s immigrants and the homeless. They also have an active missions focus among street kids in Honduras, and a vision for inspiring Danes to focus on needs beyond their neighborhood. PRAY that the new building will be a place of refuge and hope for strangers and the needy. PRAY that God would strengthen their resolve to serve the community and beyond, in the name of Jesus. 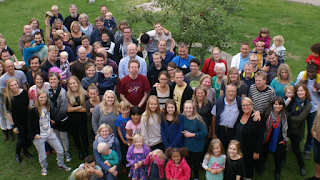 PRAY that God would inspire a new generation of Danish believers in Amagerbro to follow Christ where he leads. 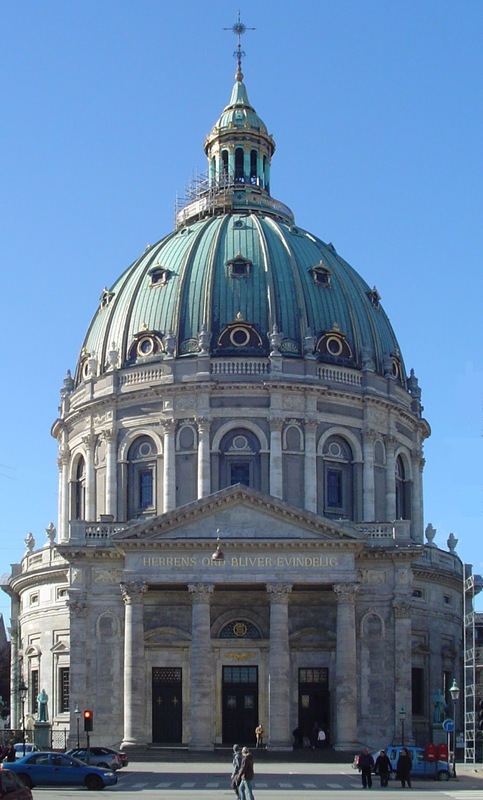 PRAY for the sparks of revival in Copenhagen to fan into flame from Amagerbro Frikirke. 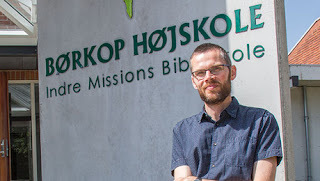 Last November we asked you to pray with us for the staff and students at Børkop Højskole, where leadership of this growing Bible college had just stepped down after bringing the school through turbulent times. Who would lead the school and its students into the coming years? Good news: Pastor and theologian Robert Bladt begins as the school’s new headmaster August 1, just in time for the new term. More good news: Attendance is up, and the school is on much better financial ground. 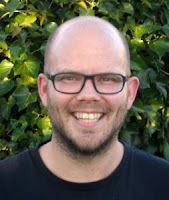 Bladt brings enthusiasm and fresh ideas to his new job, and believes Børkop can play a key role in training a new generation of church leadership. “A Bible school should teach us to enter completely both into society and the church,” he says. He believes Børkop should be an environment where students can get to know God better through creative projects, through music, or even through adventure trips. It’s the kind of training Danish secular schools clearly cannot offer. That’s a challenge. And that’s good news! PRAY for Robert Bladt and his wife, for energy and enthusiasm as he begins his new work at the Bible college. PRAY for the faculty, staff, and students at Børkop, that they would catch Bladt’s vision for the school. 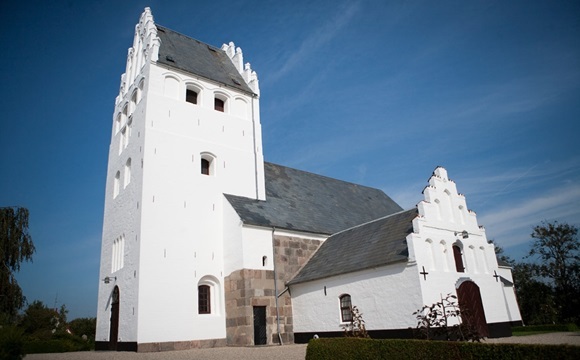 PRAY that a fresh vision to reach the country for Christ would start at Børkop. 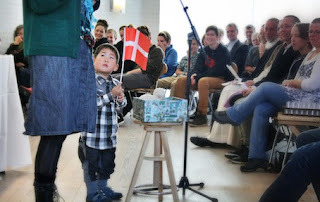 PRAY that God would bring revival to Denmark through Bible schools like Børkop. 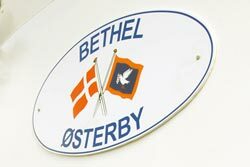 Pray for the outreach and prayer ministry of the Bethel, a seagoing outreach associated with Denmark’s “Sømandsmissionen,” or Seaman’s Mission. 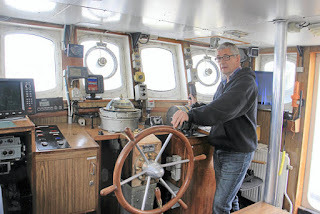 Each summer, skipper Hanus Poulsen and his crew visit some 20 Danish ports of call, offering a safe haven for sailors. 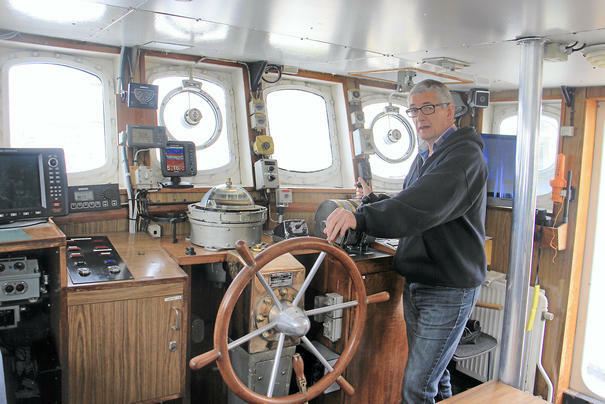 As a floating ministry the Bethel (which mean’s “God’s House”) takes a low-key approach, and in typical Danish fashion the crew is never pushy. But most visitors recognize it as the kind of spiritual retreat lonely sailors need. 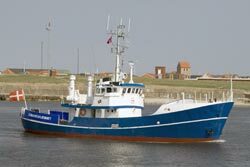 And in a country that depends on maritime traffic for so much of its livelihood, the brightly painted blue and white vessel is a natural way to reach out with the gospel. Local school groups and curious families who hear about the ship are also welcomed aboard for a tour. PRAY for Hanus Poulsen and his crew, that they would be receptive to the spiritual needs of visitors. PRAY that God would touch hurting lives through the twice-daily devotional times, and bring just the right people to visit this summer. PRAY that lives would be changed with the gospel and that even local Danes would come to know Christ through the ministry of the Bethel. PRAY that revival in Denmark would spread through this compassionate floating ministry. 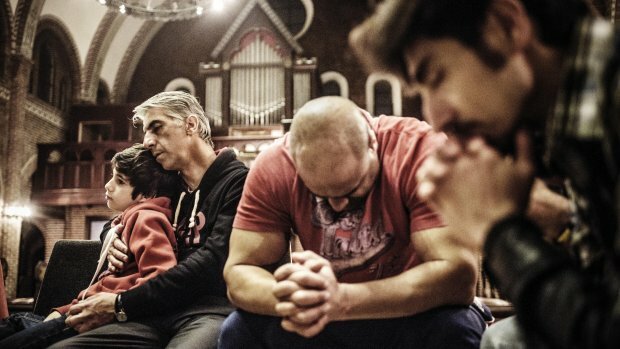 Hundreds of asylum seekers in this tiny country are coming to faith in Jesus Christ. According to a recent report in Berlingske, the Danish news service, 300 recent immigrants are being baptized into Danish state-affiliated and free churches. Most (250) are from Iran -- a place where it’s (very) illegal to convert from Islam. In addition, at least 100 more Iranians have been baptized in the past three months. Of course it’s impossible to understand everyone’s motives. Some may believe baptism will improve their chances of being accepted as asylum-seekers. But the just-released numbers are significant, and there’s reason to believe the number of questionable conversions is low. In Copenhagen’s Apostelkirken (Apostle Church), for example, a dozen asylum seekers were baptized this past Easter. Pastor Niels Nymann Eriksen estimates they’re among 100 such converts in the past five to seven years, in his church alone. So these recent converts from Islam know they would be in even greater danger if they were forced to return. Meanwhile, they’re finding a new Danish home in churches like Apostelkirken, where services are translated into English and now Farsi, the language of Iran. PRAY for these new brothers and sisters in Christ, that they will find a place in the family of God and new peace in their lives. PRAY for any who might claim conversion in hopes of improving their case, that the reality of the gospel will shine through in their desperation and need. PRAY for Danish Christians facing the challenge of dealing with this latest influx of immigrants, that God would give them both wisdom and open hearts. Rumors of this church’s demise may have been exaggerated -- though not by much. Only five years ago, many people thought this small church in Brønderslev (northern Denmark) would soon close its doors. And who could blame them? The fellowship had been meeting since 1942, and had once included over 70 worshippers, with a thriving youth program. Now they were down to just 10 discouraged faithful. But then they rediscovered the church’s theme verse, which had largely been forgotten. Since then, God has proven the truth of His word in many other ways through this little church, though not perhaps in ways they could have expected. As more people were drawn to the Bible-preaching fellowship, they began to meet twice, then three times a month. Today between 50 and 70 worship every week. But the congregation looks and sounds very different than before. Danish or English-language preaching is translated into Swahili, Persian, Kurdish, or whatever other language is needed. 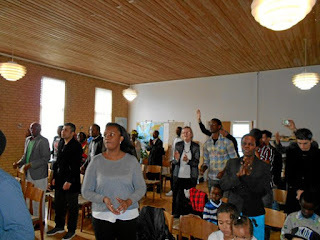 Praise and worship takes place with a new, wonderful blend of cultures and personalities. So yes, rumors of this church’s death were premature. Who would have thought? 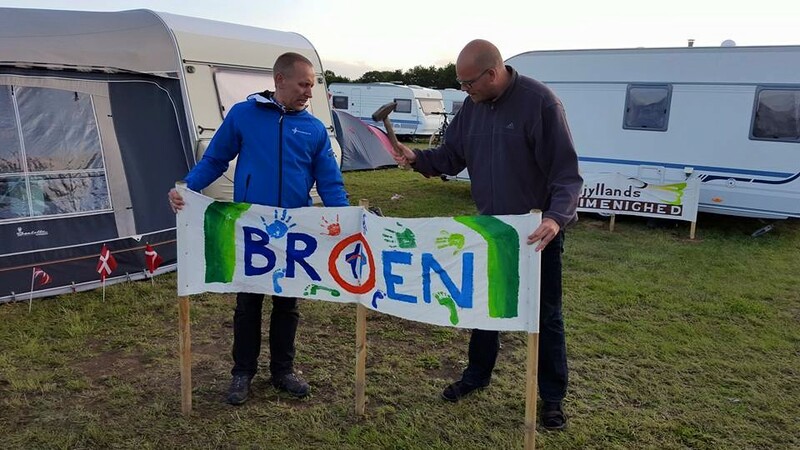 PRAY the God would bring many people of many backgrounds to salvation through this Brønderslev fellowship -- and other Danish churches. 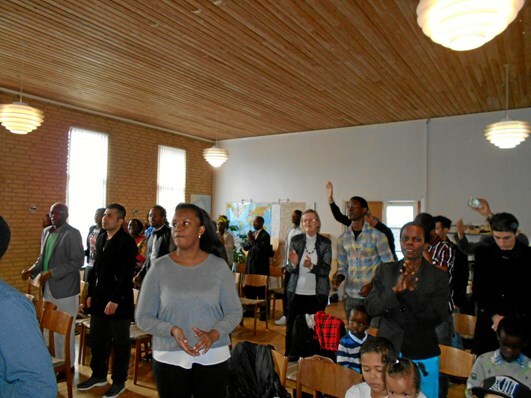 PRAY that Christ-centered renewal would take place in smaller churches like this, and across every city of Denmark. PRAY that this little country would be known for its God-honoring, truth-seeking, blended (and growing!) churches. For years, Danes have been used to limited television choices, mainly from state-run stations. 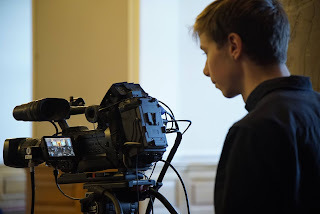 But there’s also another choice -- a Christian-run station with news on the Danish church, preaching, music, interviews, children’s shows, worship services, and more. While American TV viewers might take Christian programming for granted, it’s quite another story in a small country like Denmark, where state-run media has always been the norm. “KKR TV was the first Danish TV station that broke DR’s (state TV) monopoly,” says the station’s website. Then, of course, everything went digital. And unfortunately the station remained off the air for several years -- until technology caught up. Today Copenhagen residents can easily view KKR-TV, while others throughout the country can install a digital receiver box for home viewing. Live programming is also available online. “I’ve been longing for it for many years,” said an older viewer from Kalslund. For people like her, for shut-ins, and for many others, KKR is a new lifeline to teaching and testimony about living a life of faith. PRAY for the staff of KKR/TV, that they would remain faithful to Christ and to their calling of presenting the gospel in a culturally relevant way. PRAY that children would be drawn to the programing and come to know Jesus as a result. PRAY that the ministry of KKR TV would reach many homes where Christ not known. PRAY that God would use this television to help bring revival to Denmark! Most Americans won’t know where Djursland is, but a dedicated group of Danes are gathering to blanket this region in prayer. What’s going on? One of Djursland's quaint historic towns. Djursland, a hilly Danish peninsula facing Sweden at the entrance to the Baltic Sea, is a popular tourist destination for Danes and other Europeans. And apparently God is now stirring up Christians in this region to reach out and to pray in new ways. One of the participants told the group about setting up an informal coffee stand to serve neighbors and tourists, opening up new opportunities to meet and pray. Another explained how to use the local phone book as a prayer list. Still another told of plans to start a Bible study for newly arrived refugees from the troubled Middle East. And that was just a start. “We want to follow up on these initiatives and keep the prayer flames burning,” said Egild Kildeholm Jensen, organizer of the event. Pray for them! PRAY that believers will be stirred up in new ways to reach out in the name of Jesus. PRAY that visitors and others would notice a wonderful difference in this beautiful area of the country, and that they would be drawn to the Gospel here as never before. 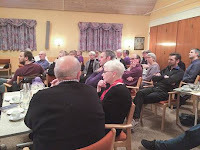 PRAY for a new sense of unity across churches in Djursland, as believers come together to pray more and more. PRAY for the “God wants to do more!” movement in Djursland, that revival flames would spread from this place. 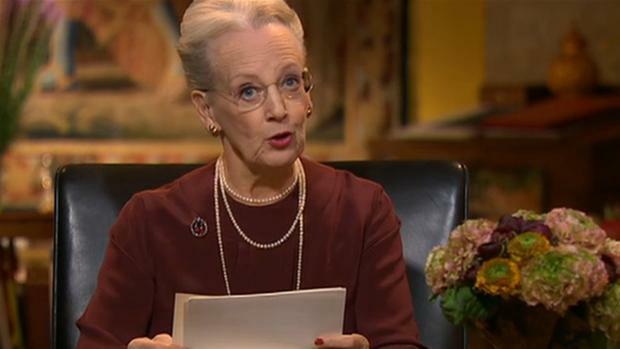 At the end of every year, Danes pause for a few minutes to hear a New Year’s message from their queen. This year’s message included Queen Margethe’s somber reflections on terrorism at home and abroad -- including the attack last February in Copenhagen’s synagogue, in which two people were killed. If that sounds familiar, think of all the biblical warnings to not be afraid. From Isaiah and Joshua to the words of Jesus himself, we’re reminded: Be not afraid. Be not afraid, because God is doing great new things in Denmark. Worship leaders are seeing a resurgence in genuinely Danish praise music. Attendance is up at Bible colleges. New urban church plants are growing as never before. 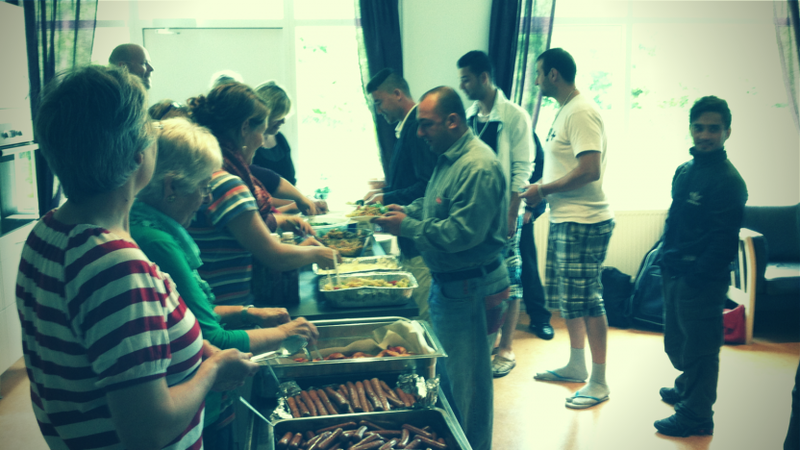 Believers are reaching out to neighbors and immigrants. Christians are bolder than ever in sharing their faith. PRAY for the Holy Spirit to move in new ways through His church in Denmark, filling Danes with compassion for the lost and hurting. PRAY for protection and wisdom for Christian leaders. PRAY that believers would be obedient to God’s leading as they face the challenges of a culture that is far, far from God. 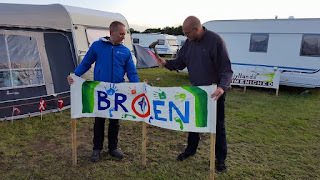 PRAY for new energy in the church and for genuine revival in Denmark!